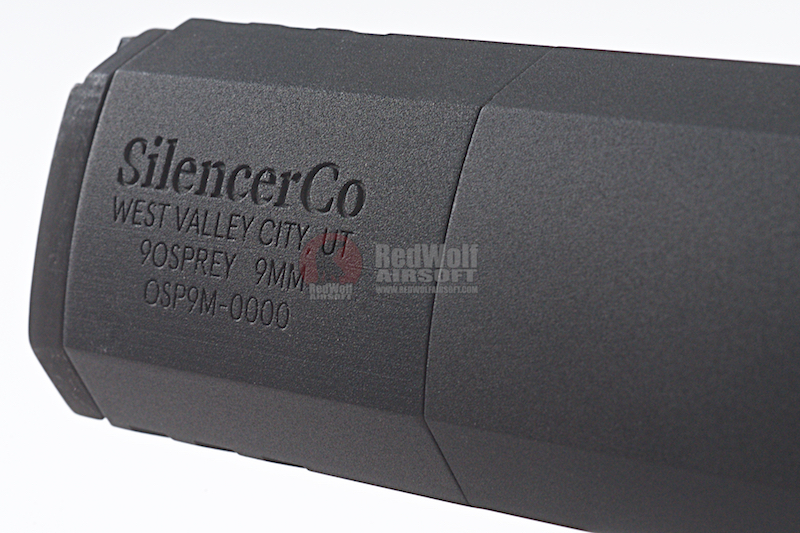 The SilencerCo Osprey 9mm Suppressor comes with one 14mm Clockwisethread cover. 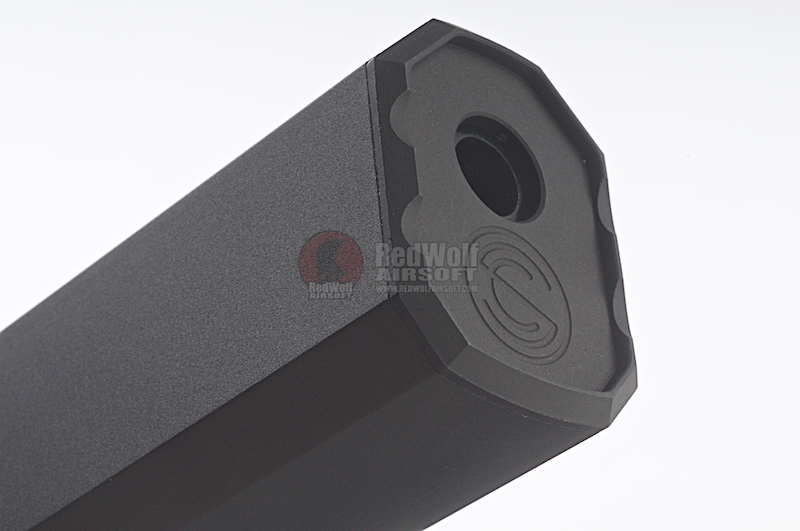 It's unique style and shape allows it to sit in front of a pistol without blocking the low rise front and rear sight. 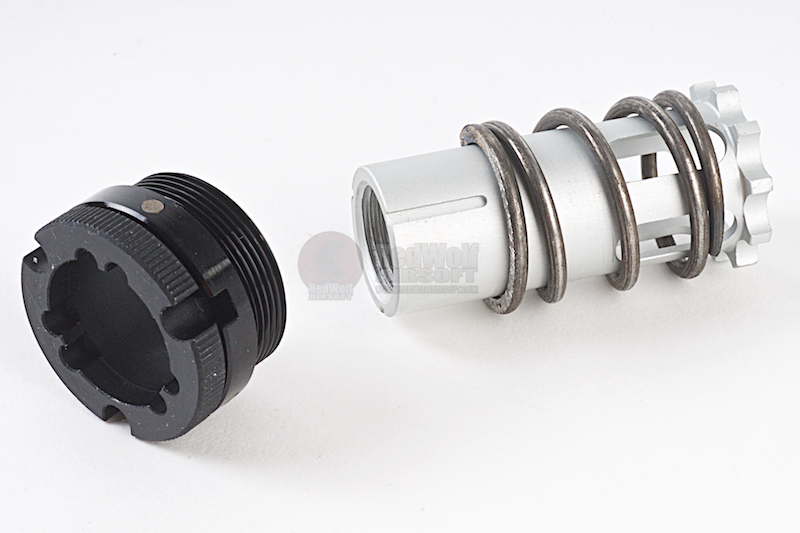 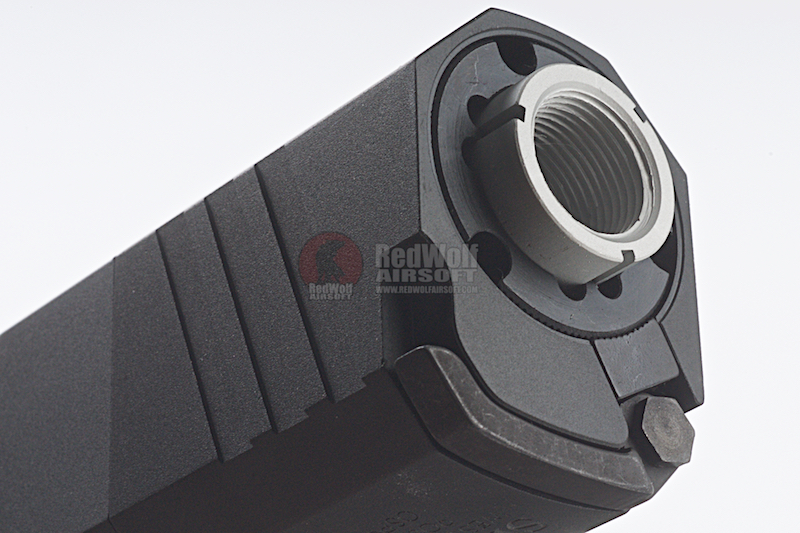 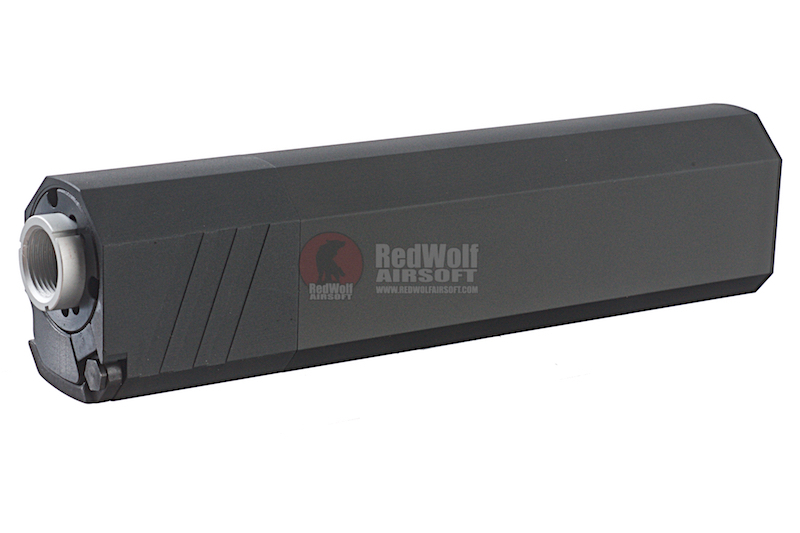 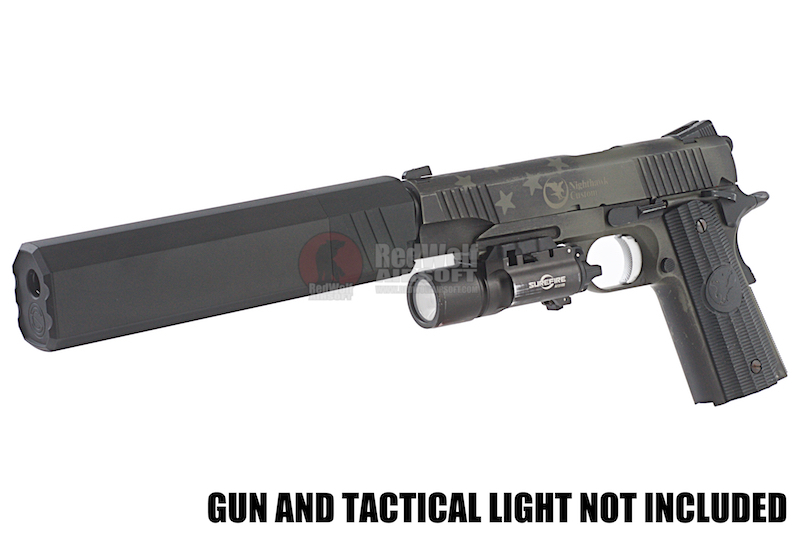 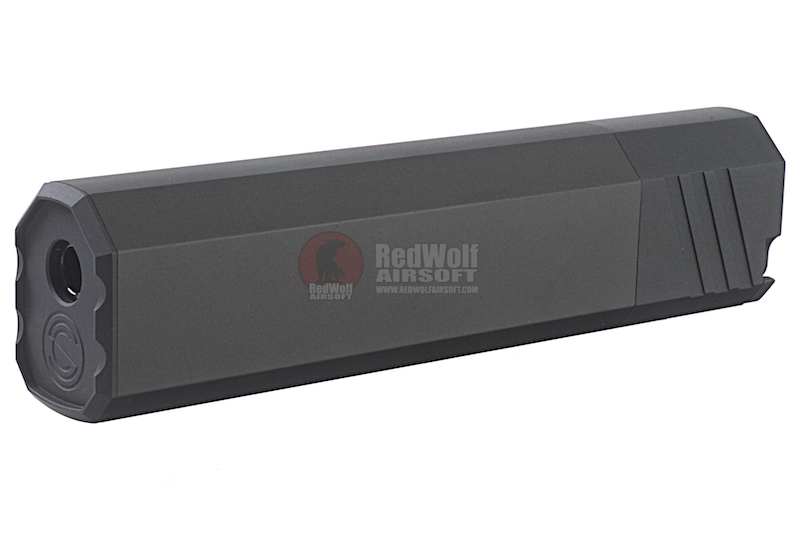 You don't have to worry about the angle of the suppressor as you can always fix it if the angle is a little awkward.